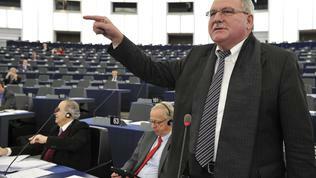 "Eurobonds are neither a panacea nor an idea to be totally excluded." 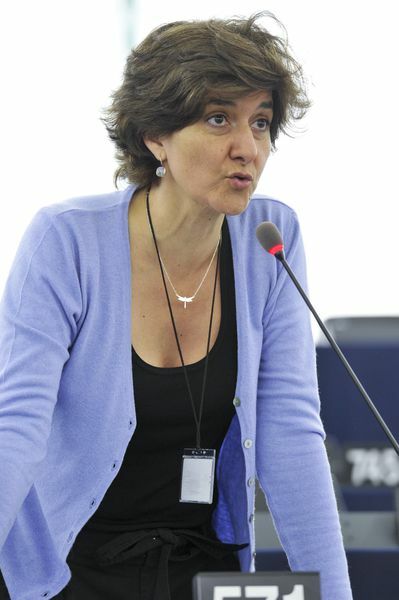 With these words Sylvie Goulard, MEP (ALDE, France), presented to her colleagues in the economic committee in the European Parliament her report on the feasibility of introducing Stability Bonds - the term by which the European Commission calls the Eurobonds in its Green Paper issued last year. Discussing the report comes at a time when more voices are heard in support of the view that the only salvation, in fact a rapidly achievable one, is to pool eurozone countries' debt, so as to relieve the market pressure on troubled economies. The creation of Eurobonds was also the topic which the new French president, Francois Hollande, chose for his debut at the European Council summit on 23 May. The problem is that even the staunchest apologists of the idea are not specific enough to explain what exactly they mean by "debt mutualisation" and "Eurobonds". The purpose of Ms Goulard`s report is in the form of a roadmap to show the stages through which pooling of debt goes until it reaches issuance of full-fledged Eurobonds, as well as the necessary conditions to that end. Pooling of debt should be linked to respecting strict conditions, "it must be used for stability and not for ease, to limit moral hazard not to encourage it," the report states. Without unnecessary pathos, it clearly shows that there is a long way to the Eurobonds and they should not be perceived neither as a short-term measure nor as the only salvation – an assumption shared even by the Socialists, who are among the most active advocates of the idea. 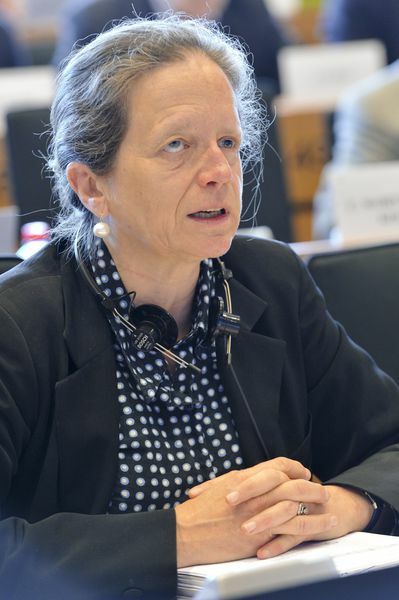 "Eurobonds are not the silver bullet, but they are part of the long-term future of the eurozone," Pervenche Berès MEP (Socialists and Democrats, France) said. The introduction of Eurobonds, i.e. common issuance of debt with joint guarantees, goes through three main phases, as presented in the report. The purpose of this roadmap is to link "all progress towards Eurobonds with budgetary stabilisation and economic convergence is now able to be envisaged, the two processes must imperatively go hand in hand." 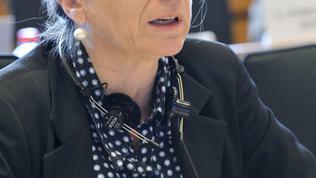 is the first step to be taken immediately, so the fund was proposed as part of the so-called "Two Pack" which the European Parliament adopted on 14 June 2012. The Redemption Fund has been proposed by the German Council of Economic Experts. The aim is to reduce the debt of member states to sustainable levels and to lower the interest rates. Debt of member states above the limit of 60% of national GDP will be transferred to the fund and will be subjected to joint and several liabilities. Those member states are obliged to buy back their debt for a period of approximately 25 years, while maintaining strict budgetary discipline and implementing reforms. Countries will also transfer certain tax revenues to the fund, as well as ex ante guarantees. An important condition to reduce moral hazard is the fund`s limited period of functioning. German experts themselves emphasise that this is a prerequisite the fund to be approved by the German Constitutional Court. 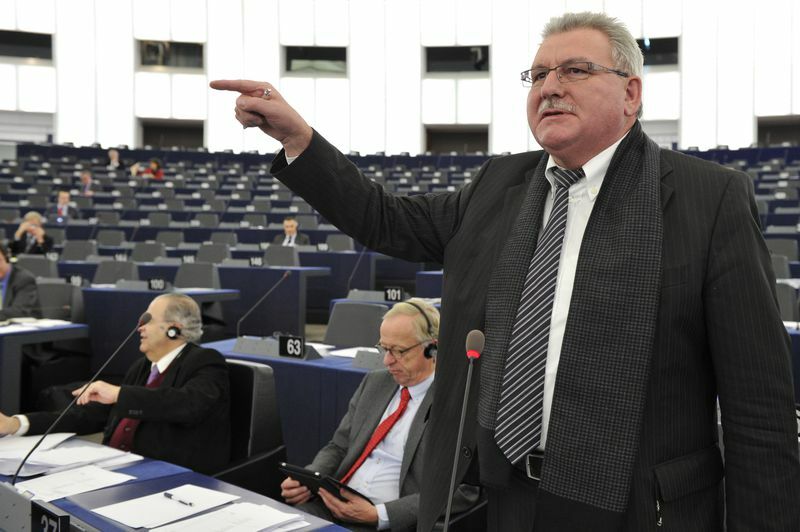 German EPP MEP Werner Langen, however, indicated that only 8 out of the 17 eurozone countries would be able to participate in the Redemption Fund, as by definition countries under bailout programmes (Greece, Ireland, Portugal and soon also Spain because of the bank loan) are not allowed to participate, while the debt of the other five members (Estonia, Finland, Luxembourg, Slovenia and Slovakia) is below 60% of GDP. 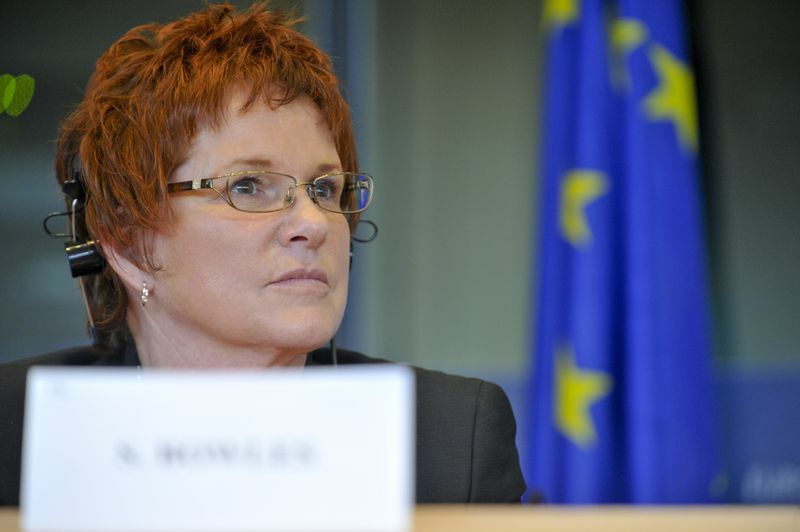 Economic committee Chair Sharon Bowles (ALDE, UK) reminded the critics of the fund that they had already supported its creation. "I feel a little bit like we voted for salvation and nobody is volunteering for crucifixion," she said and warned that it was not possible to ask Germany and France to assume joint and several liabilities for the debt of eurozone countries, amounting to 3-4 times of their GDP. We need to find a short term solution to give us time to make a decision how to move forward, Ms Bowles said. Along with the Debt Redemption Fund, the report proposes establishment of a system for issuance of euro bills (common short-term debt) with a maximum maturity of of up to one year and amounting to maximum 10% of GDP (or approximately 900 billion euros). Only countries that respect the Stability and Growth Pact could take part in the system. "Euro bills replace all short-term debt to be issued by Member States which consequently remain solely responsible for issuing their own debt for longer maturities." The issuance is joint and exclusive, performed by a debt agency and the guarantee is joint and several. The role of such a debt agency could be played by the European Stability Mechanism (ESM), for example, that currently issues securities to finance the rescue operations in the eurozone. The problem is, as noted in the report, that ESM is not controlled at the European level (it was created by an intergovernmental decision of the member states). 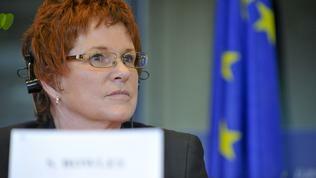 Therefore, the EP report highlights "the need to improve democratic legitimacy". According to the report, the euro bills "should indirectly generate lower long-term rates" and "could also facilitate the phasing out of the ECB’s LTRO [long-term refinancing operations] programme designed for banks." The second phase are the "blue bonds"
that can be implemented in the short term and under the current legislation, the report states. Each national public debt is divided into "blue" debt - less than 60% of GDP and "red" debt - over 60%. The blue debt is matched with a joint and several liability and the red debt remains national responsibility. A debt agency (or a consortium of national agencies) issues a mixed blue debt and returns the funds raised according to a pre-determined distribution key. Countries should put collateral representation of their amount of debt issued in common. Only member states that respect the Stability and Growth Pact and the Fiscal Compact and are not subjected to a bailout programme may be involved in the system. The advantage of this system is that member states have an incentive to reduce their red debt that will be more expensive. However, the report recognises the need to find a solution to the issue of "the additional costs of the red debt, very discouraging for certain countries." Another issue is related to the excessive impact on AAA countries. To avoid this, it is possible to envisage modulated interest rates according to the country, notably depending on the respect of budgetary discipline and macro-economic efforts. This will reduce moral hazard associated with weakening of reform efforts due to the weakening of interest rates pressure - an argument mainly raised by Germany against common debt issuance. involving a Treaty change. The system of common debt issuance should include strict budgetary conditionality and macroeconomic convergence, the creation of a European Treasury, an increased democratic legitimacy, external representation of the Euro. In the long term, also the issuance of a federal eurozone debt, based on fiscal own resources should be explored. "The option deserves to be analysed in order to preserve the collective stability of the Eurozone on the one hand, and the budgetary freedom of each Member State on the other. At this stage we are suffering from having the first while having already reduced the second, the required mutual surveillance is proving to be rather intrusive. The refusal of any federal solutions also has a cost, which, although rarely mentioned, is no less real," the report concludes.